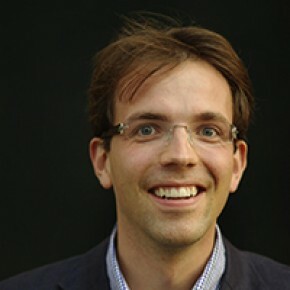 Since 1 September 2012 Victor Knoop has a Tenure Track position as Assistant Professor at the Delft University of Technology, at the group Transport and Planning. His general activities relate to traffic flow modelling and, to a lesser extent, traffic control. He was recently awarded a prestigious personal grant (Veni) by the Netherlands National Science Foundation (NWO). The grant (250.000 euro) is awarded for the proposal “Integrated driving behavior theory and models: there is plenty of room in the other lane”, which aims at studying drivers” behavior at motorways, combining lane changes and accelaration changes, and which effect this has on the traffic flow (Press release). Victor Knoop is also part-time affiliated with Traffic-Quest, the national knowledge center of traffic management. The movement of particles, individually driven, creating a flow with collective properties interests me. This could be granular matter, foam, but also birds, cars, or even currency. They all lead to very interesting collective behavior. In my research, I focus on traffic dynamics. In traffic flow, different phases can be distinguished: congested and free flow. Macroscopically, there are important differences between the dynamics of congested traffic and free-flowing traffic. At the other hand, if is difficult for one driver to tell whether he is driving in congestion or in free flow (at least, in heavy traffic it might be difficult). What interests me, scientifically, is how changes on the scale of the particles (vehicles, drivers) change the collective behavior of the flow. Solutions of societal problems of traffic jams can therefore lie in small changes in driving behavior, which might change the complete traffic pattern. Recent work fields include multi-lane traffic flow (on freeways), where the lane choice and lane-changes of drivers make that the road capacity is not optimally used. I also pioneer in city wide description of traffic flow, using the so-called Macroscopic Fundamental Diagram (MFD), also known as Network Fundamental Diagram. This means traffic is not longer described at a vehicle level or a road level, but traffic is described at a higher level, a zonal level consisting of many roads. A traffic description on this level can be used in urban traffic management, where it is computationally too expensive to test various traffic control measures using vehicle-level or road-level simulations. I analyse traffic dynamics at that level and aim for a multi-zone traffic description, by which control measures can be evaluated.